Goodyear Wrangler TripleMax provides peace-of-mind for a safer drive, keeping families more secure across any road condition. Goodyear Wrangler TripleMax provides peace-of-mind for a safer drive, keeping families more secure across any road condition. oodyear developed the Wrangler TripleMax with an improved version of its proprietary HYDROGRIP Technology®. 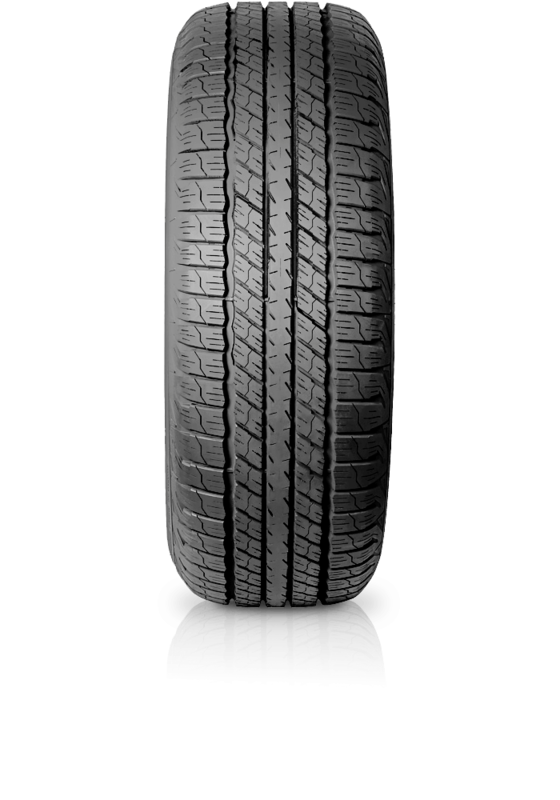 Its innovative tread design, optimized carcass, and high grip compound deliver shorter wet braking performance. Designed for mid-size SUVs, the Wrangler TripleMax delivers Superior Braking Performance, Shorter Wet Braking and Road Hazard Resistant features, offering a safer and more fun driving experience with the family.